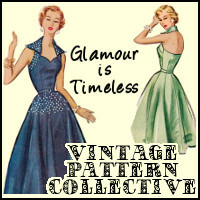 You guys, I have such a treat for you today! 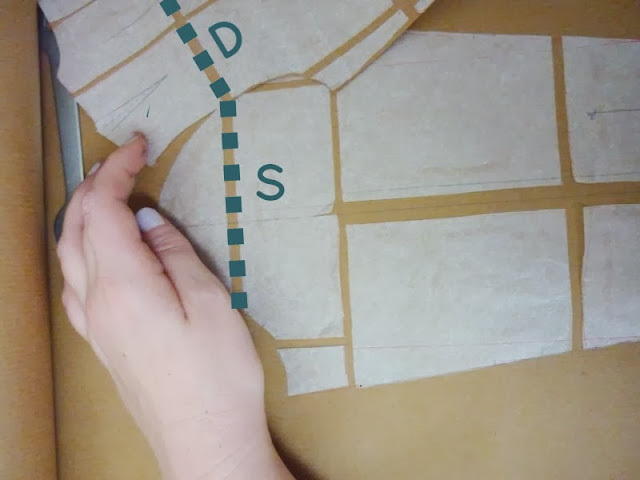 The insanely talented Alana from Lazy Stitching is sharing some genuine grading gems with us today - and the good news is that these tips and techniques will come in useful well beyond the Dakota Sewalong. 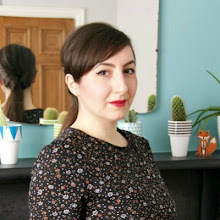 The even better news is that I'll also be sharing Alana's tips for a Full Bust Adjustment (FBA) tomorrow! Alana, thank you so much for the obvious effort and time you put into this post for us...and I love your monochrome mug!!! 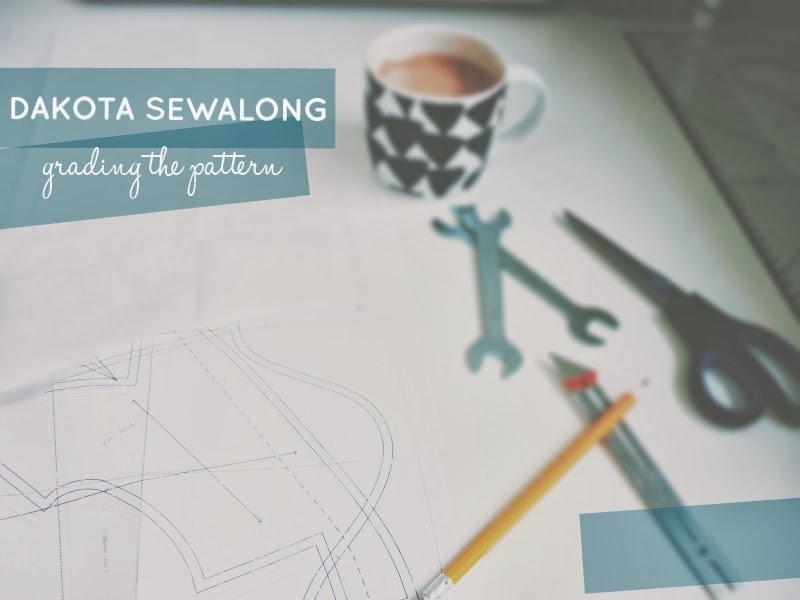 Hi guys, I'm so excited to be part of Marie and Rachel's Dakota Sewalong and to show you how I made this pattern work for my size. I'm not a technical expert - I fall more towards the "make it work" school of thought. 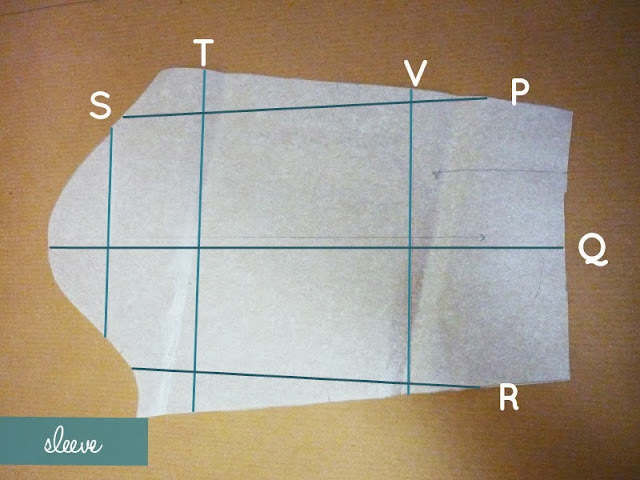 Making a muslin of your graded pattern is kind of unavoidable even for lazy peeps like me. 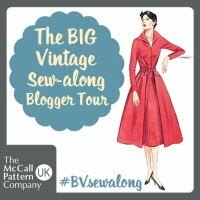 So here goes - rulers and pencils at the ready! 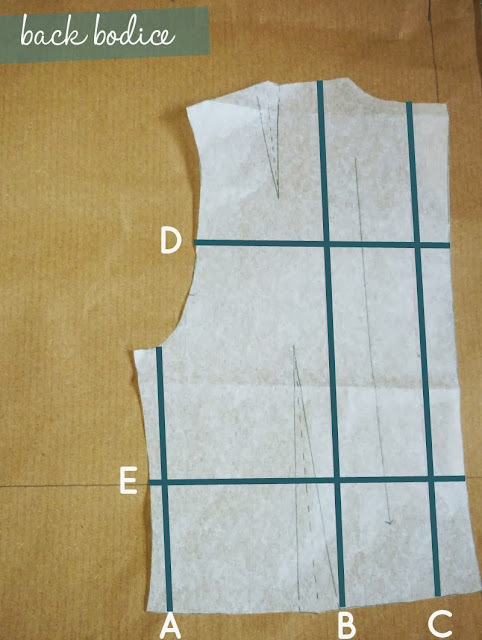 I started with the largest size in the Named pattern range, which is a 44, and the next step is to determine the size of your grade or how much you need to increase it by. Take your bust, waist and hip measurements then compare to the Named pattern size guide. This is the worksheet I used with an example filled in at the top. 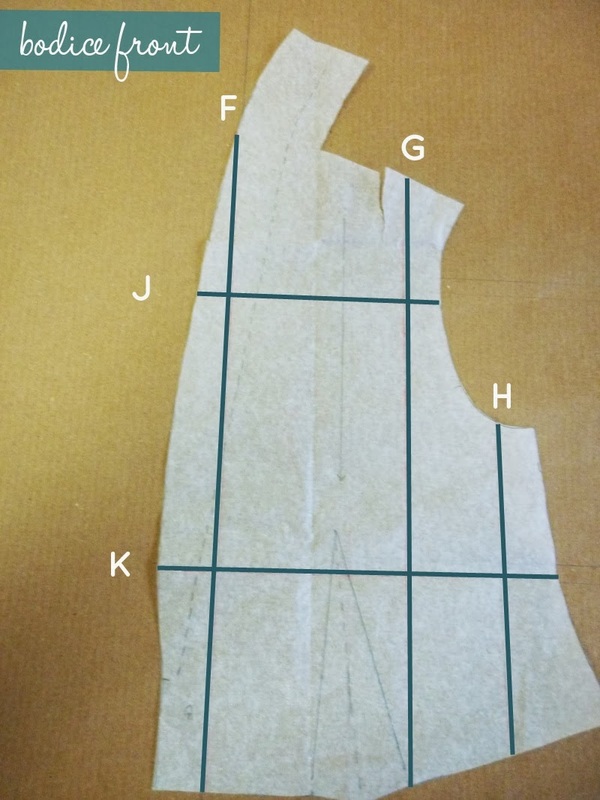 Once you have the amount you need to add, half is added to the front pieces and half to the back (FG + BG). But because our bodies don't get larger just at the side seams this amount is spread again at certain points. 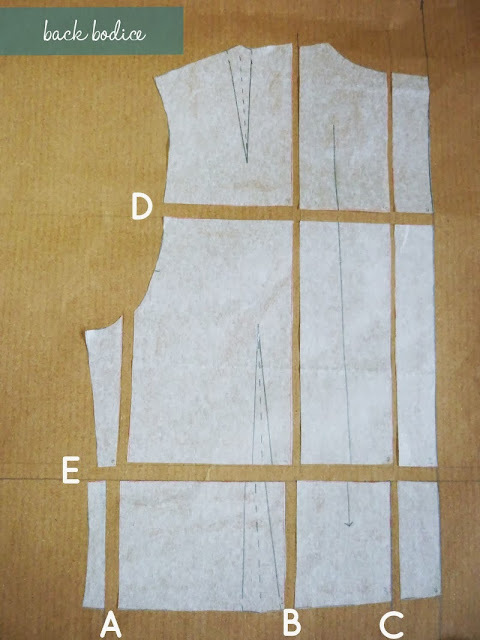 Let's start with the simpler of the two bodice pieces - the back. Draw in the lines below keeping parallel. 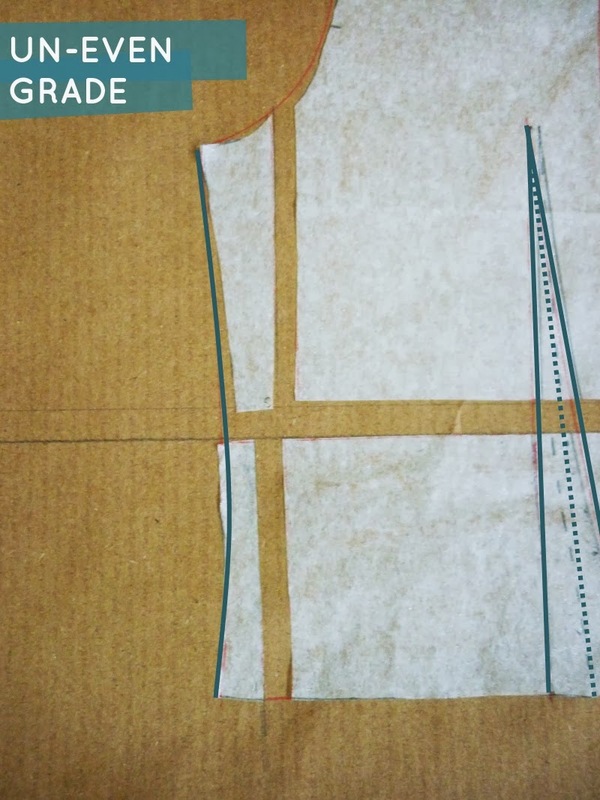 Now repeat with the front bodice - it looks harder, but you just use the same process with one exception. Add lines J & K if you need to add length to the bodice - half the length at each line. 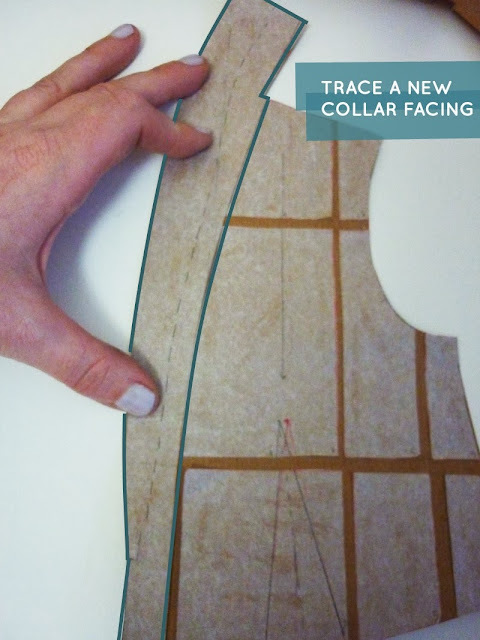 Don't forget to trace a new collar facing piece too! Line S is spread the same quantity as D and J (which should be equal too!) 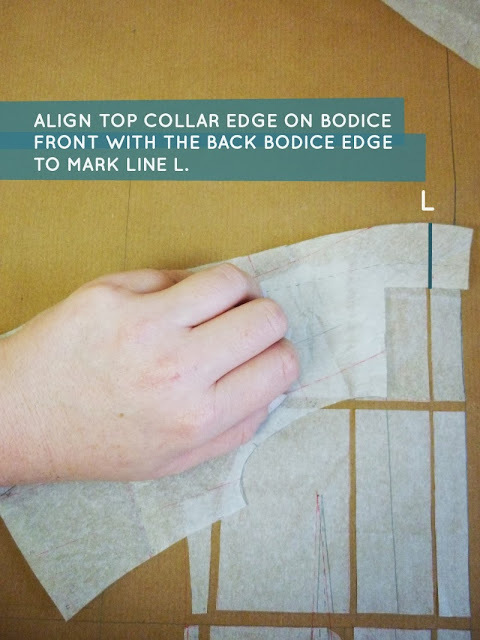 If you didn't add length to your bodice you won't need this line. Here's where I got a bit lazy, sorry! Rather than spreading the rest of the sleeve at lines P & R I just spread it down the middle and smoothed the edges - it didn't seem to matter in the end. 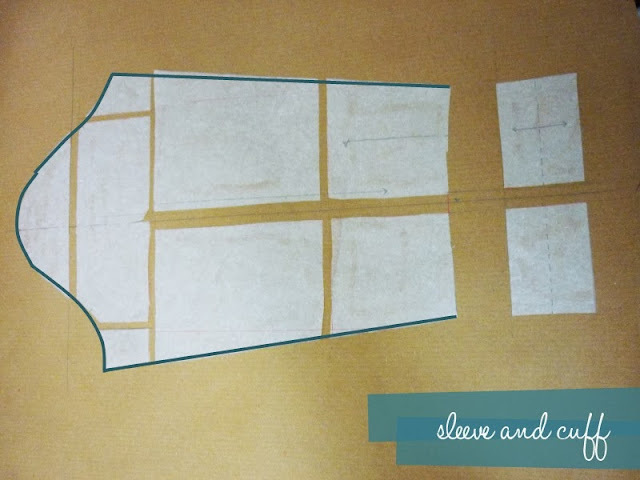 The cuff can be spread from the middle by the same amount. One tip that really saves time - measure your armscye at the seam line and the same at the sleeve head seam line and check they match before you cut your fabric. 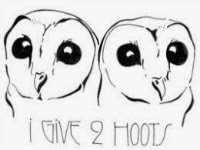 They should - but sometime even the best mathematics seems to go awry. Hallelujah - these stay the same size no more work to be done! Don't forget to tune in tomorrow for Alana's equally comprehensive look at a Full Bust Adjustment! Many thanks for posting this, however, I am such a novice to grading need a little more clarification and just want to check that I have understood this correctly - so please correct me were required - thanks!! Hi Tanya, looking at it now I can see how it's confusing, sorry! Yup you're right - over all the circumference increases by 4cm, so because each bodice pattern piece is 1/4 of the circumference each increases by 1cm. Wow, this is really great information! Thanks so much for taking the time to photograph and spell this out, Alana! Thanks Sonja! Alana's a grading genius!!! We are so grateful to have Alana helping us out. 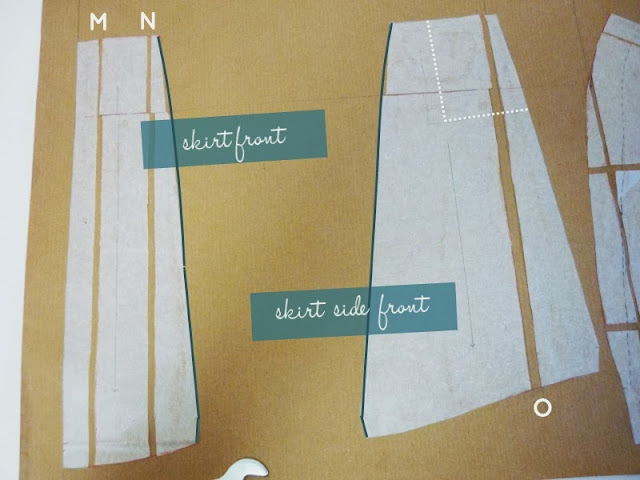 Yeah, this is the best laid out and easy to understand tutorial I have seen thus far. It has saved me a lot of time and extra work! Thanks Alana! 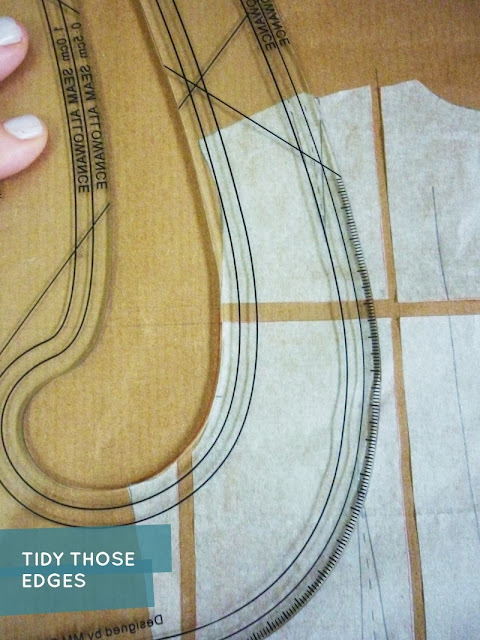 Thanks for this tutorial, I have used it to grade up Butterick 8038. 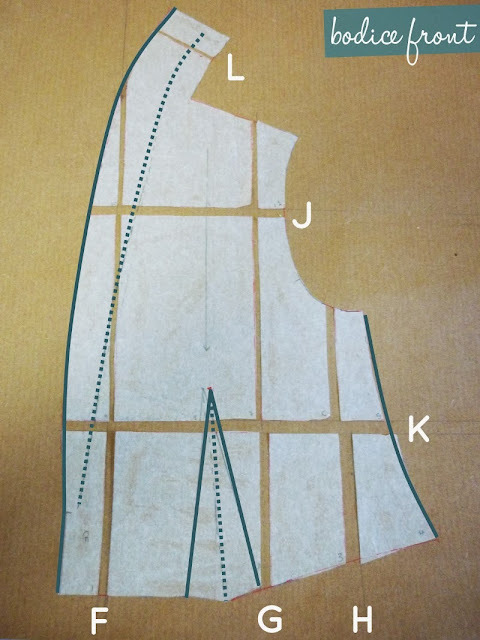 Fingers crossed as I am in the process of making the pattern up, but the muslin seemed to work. I am just writing about it at the moment and would like to insert a link to this tutorial. 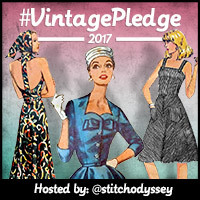 Not sure of blogging etiquette as I am new to it, but please let me know if you object. Thanks again for the help.